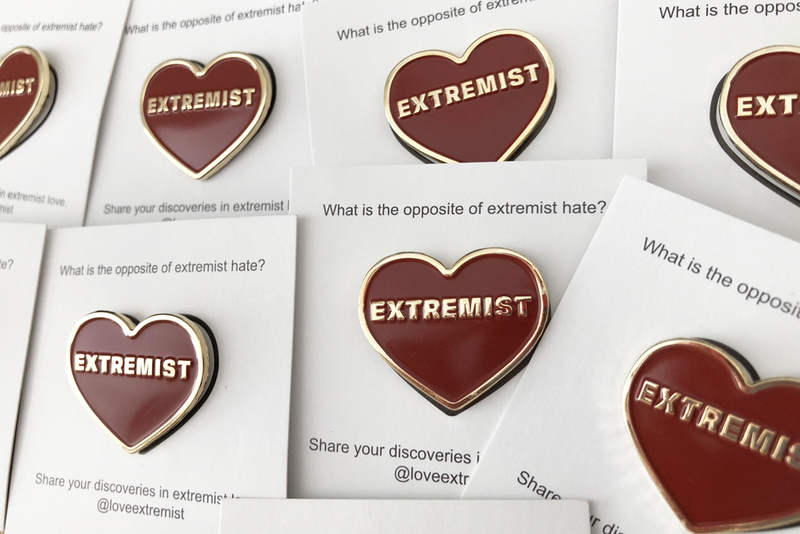 The Love Extremist pin is a call to action, it sparks conversations and meaningful questions... What does it mean to be a Love Extremist? How can we co-create a powerful alternative to extremist hate? Wear your pin proudly, give it away to someone with whom it resonates. Together we can elevate our collective consciousness simply by asking the questions that matter. To inquire about ordering larger quantities or sourcing a custom color please contact us.